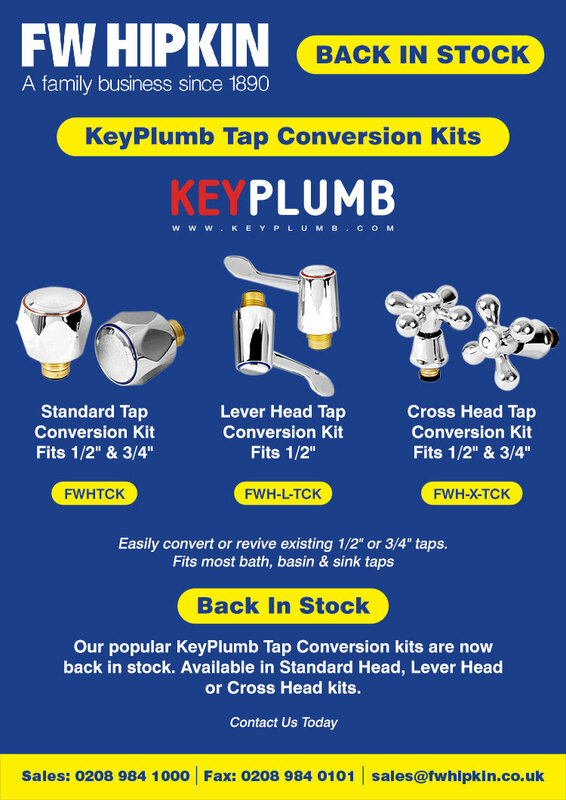 We are pleased to announce that our popular KeyPlumb Tap Conversion Kits are now back in stock. Available in Standard Head, Lever Head and Cross Head kits, the tap conversion kits can be used to easily convert or revive existing 1/2″ or 3/4″ taps and fit most bath, basin and sinks. Please contact our sales team for pricing, quantity discounts and to be added to our email list to receive new products and pricing straight to your inbox.